Here in Skipton, we’re gearing up for Le Grand Depart, the first stage of this year’s Tour de France. The whole town and surrounding areas will come to a standstill this weekend as we welcome the biggest sporting event in the world. I cannot wait. 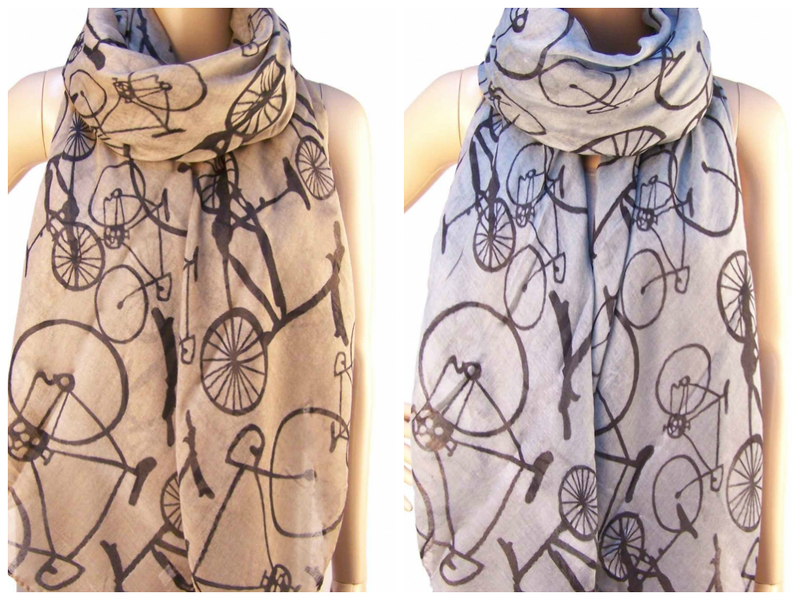 So it seems wholly appropriate to wear a bicycle scarf. This grey one works beautifully with shades of blue. My ruffled skirt is from Joules several years ago. It makes me want to shimmy but my children advise me not to. I had a meeting this morning followed by an impromptu lunch at my friend Annemarie’s house. I called for coffee and ended up staying several hours, chatting away in her beautiful garden. Looking good, really love that skirt, just a great look. This outfit is the best I have seen on anyone in a very long time – it's just amazing from the simplicity to the skirt to the top the necklace to the ruffles.